MVS Studio teamed up with SyFy network to create a custom green screen photo booth activation to promote their shows on social media. 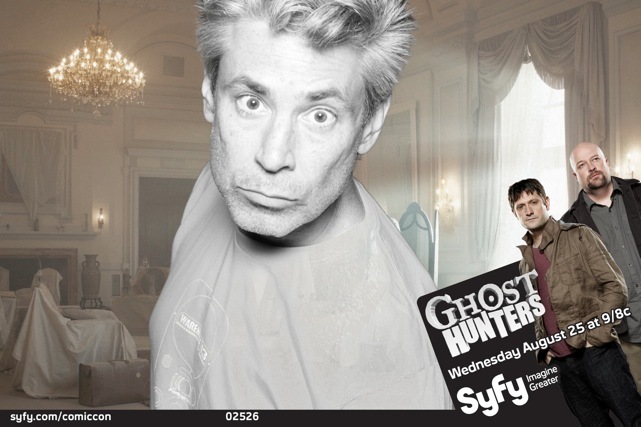 Users where given the choice of SyFy shows and a custom overlay and greenscreen background corresponded with their choice. Images where coded with an individual user code, where users could retrieve their image from a SyFy micro site. This gave the user choice while maximizing the interaction with SyFy content. Having a great image to share on social media ensure that images circulated and a wide swath of people were exposed to the content. User experience is always the most considered aspect of our activations. How will the user feel making their image? What kind of choices do they want to have? How can we make experience faster and easier for the user? Will they want to share their image with everybody they know? These questions are central when we are designing custom photo booth activations. The challenge is always balancing customized user choice with automation, which afterall, makes The Digital Photo Booth easy, fun and immensely popualr for events of all kinds. Do you have an event coming up where images need to live on in social media? Fill out the form in the sidebar to hear more about how we can customize a photo booth activation for you!